People have a right to breathe clean air. 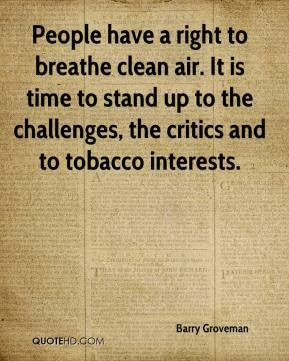 It is time to stand up to the challenges, the critics and to tobacco interests. 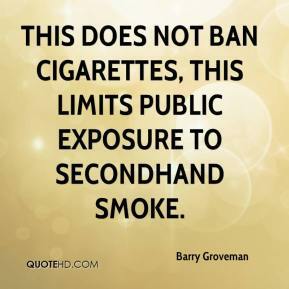 This does not ban cigarettes, this limits public exposure to secondhand smoke. 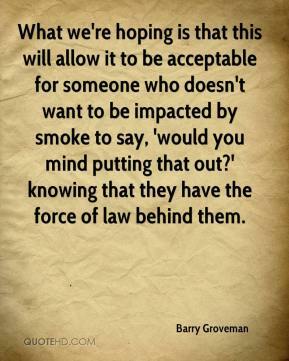 What we're hoping is that this will allow it to be acceptable for someone who doesn't want to be impacted by smoke to say, 'would you mind putting that out?' knowing that they have the force of law behind them.